JD Williams is a fashion brand that I had heard of but to be honest had never considered buying from. Without really looking into them properly I had assumed they were just for the older generation and nothing there would suit my style…… so when I was offered a chance to try out some of their items I was in two minds. But looking online I realised that they did have clothes that would be suitable for me as a 30 something Muslim woman. Many of my friends wear maxi dresses and JD Williams new season collection has some amazing maxi dresses. I must admit I was tempted by some of them, but having never worn one and worried they wouldn’t suit my height I decided against getting one. 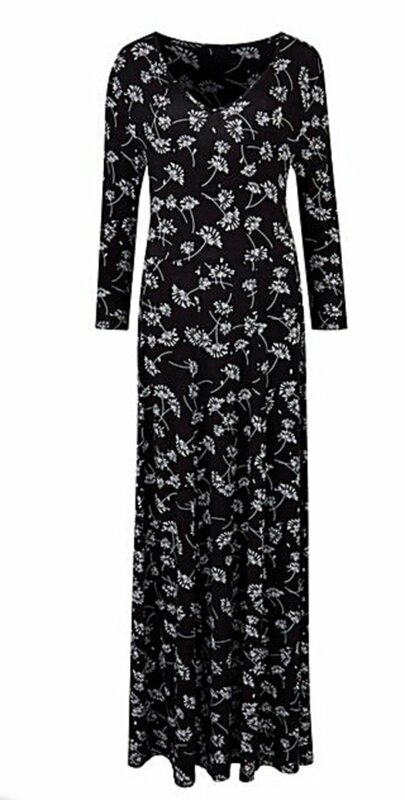 This dress is perfect as a modest maxi dress with the long sleeves and priced at just £35 is affordable. Made of jersey material it looks like a dress that would be perfect for everyday wear. I love summer in that I can get my sandals out (and buy more!) JD Williams has a bigger variety of sandals than I had realised and you are spoilt for choice looking through their selection! I had a hard time picking just one pair and I eventually decided on the Lotus Alaska sandals. How elegant are they? Casual enough to wear everyday but also smart enough for a special occasion. I found these comfortable and suitable for rushing around with the kids! One of my other essential items for summer is a light cardigan. I generally have one to wear over my clothes….unless it is exceptionally hot of course. 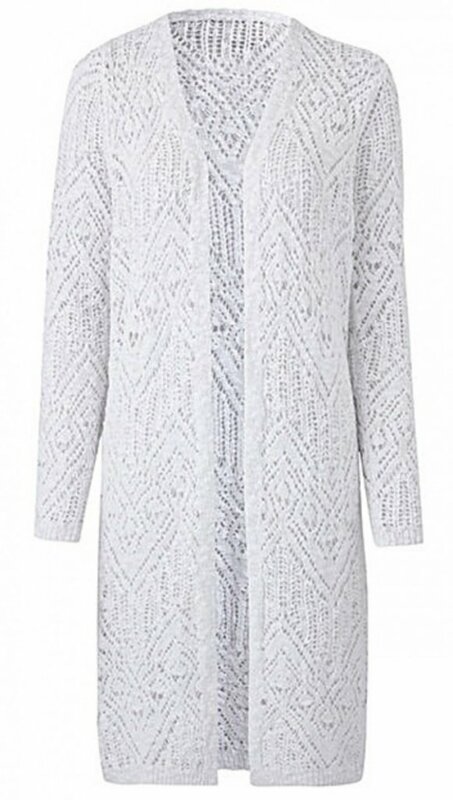 This Pointelle Cardigan is perfect for the summer time. 68% cotton and 32% acrylic it clearly has the look of summer about it. Even when I wear my traditional shalwar kameez, the cardigan is the perfect summer addition to wear over the top! Not just women’s clothing, JD Williams has mens and kids clothes, toys, electrical items and things for your home and garden. Disclosure: I was sent a number of items of my choice in return for a post. All thoughts and opinions are my own. Hello! Fashion Blogger. These are all great. Especially the sandals and cardigan. Enjoy them. Lovely Review. I’m most drawn to those sandals, look fabulous, great choice. This is my first time hearing about JD Williams.. it looks like a shop worth checking out! Ohhh so cute I love that first dress! Will definitely have to check out that brand, in shaa Allah! I’ve never heard of them! That maxi dress looks brilliant – I’ve been looking for ones that aren’t sheer or have plunging necklines or have slits to the armpits (insert massive eye roll here) – this is so helpful – thank you! First time hearing about JD Williams… nice to see that they’re catering towards women who want to dress modestly which isn’t something you can easily find in high-street stores.